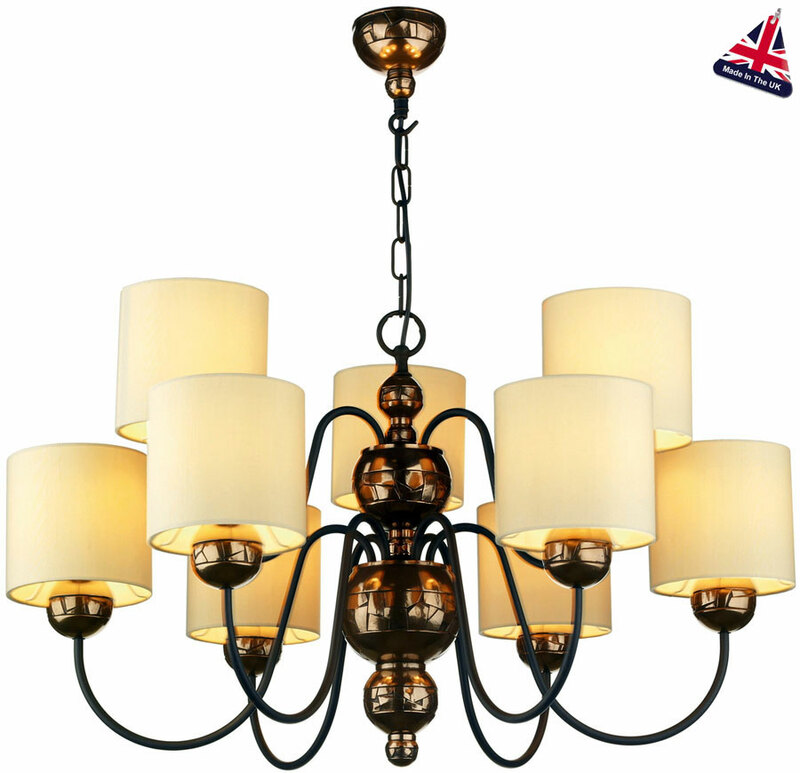 An impressive nine light chandelier arranged over two tiers, with a polished bronze mosaic effect ceiling mount, central stacked lighting gallery and matching styled lamp holders. Contrasting matt black curved lamp support arms and chain link suspension completes the grand design. This magnificent ceiling light is supplied with cream fabric conical lampshades that will create a wonderful warming glow light when lit. Height adjustable at the time of installation by simply shortening the chain suspension to suit and extra length chain can also be ordered on request. Minimum height 60cm, maximum drop 110cm. 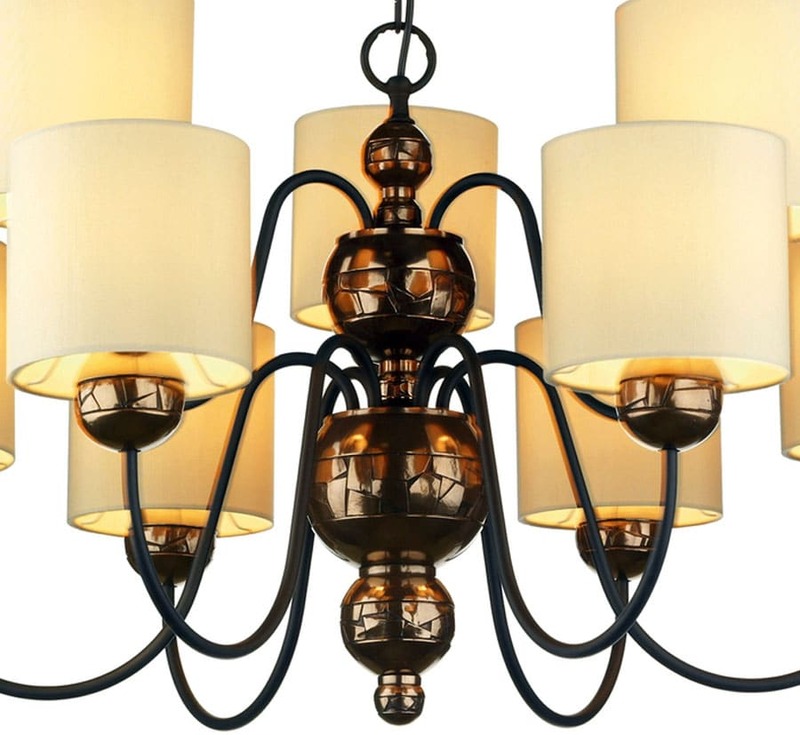 Other products in the bronze David Hunt Lighting Garbo range with cream shades can be viewed below and include a larger fifteen-light chandelier, six light ceiling light, three lamp pendant and matching twin wall light.